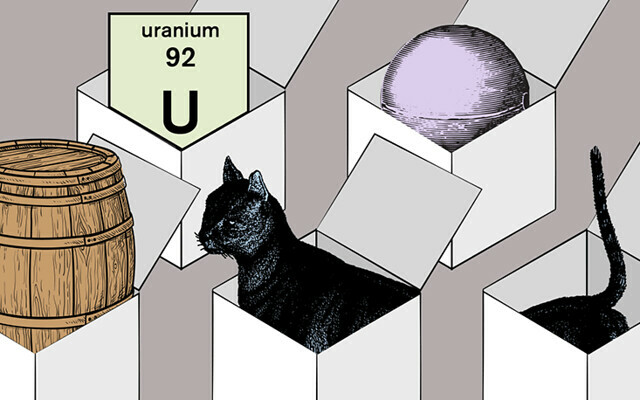 Today, in our LOLcats-saturated world, Schrödinger’s strange little tale is often played for laughs, with a tone more zany than somber. It has also become the standard bearer for a host of quandaries in philosophy and physics. In Schrödinger’s own time, Niels Bohr and Werner Heisenberg proclaimed that hybrid states like the one the cat was supposed to be in were a fundamental feature of nature. Others, like Einstein, insisted that nature must choose: alive or dead, but not both. 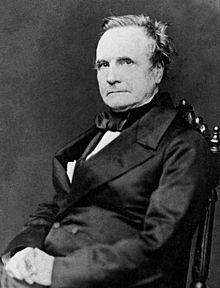 As we refrain from lifting the box’s lid, we might spare a thought for Charles Babbage; he died on this date in 1871. A mathematician, philosopher, inventor and mechanical engineer, Babbage is best remembered for originating the concept of a programmable computer. Anxious to eliminate inaccuracies in mathematical tables. By 1822, he built small calculating machine able to compute squares (1822). He then produced prototypes of portions of a larger Difference Engine. (Georg and Edvard Schuetz later constructed the first working devices to the same design which were successful in limited applications.) In 1833 he began his programmable Analytical Machine (AKA, the Analytical Engine), the forerunner of modern computers, with coding help from Ada Lovelace, who created an algorithm for the Analytical Machine to calculate a sequence of Bernoulli numbers— for which she is remembered as the first computer programmer. Babbage’s other inventions include the cowcatcher, the dynamometer, the standard railroad gauge, uniform postal rates, occulting lights for lighthouses, Greenwich time signals, and the heliograph opthalmoscope. He was also passionate about cyphers and lock-picking.